There are always certain dreamy plans we have for our wedding, right from the time we commit by saying “Yes!” We create a virtual vision for how our destination, decorations and wedding attire should be. 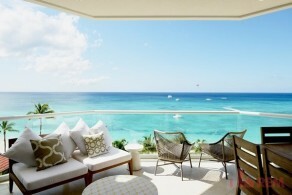 And what better place for our dreams to come true than the Cayman Islands? It’s the perfect location for a beautiful wedding - as well as the perfect place for friends and family to join the celebration. Everyone can relax in comfort and style at one of many spectacular rental properties. Below are several reasons why the Cayman Islands will provide you - and your family and guests - with a memorable wedding experience, and will most likely entice you to return for a vacation or another special occasion. Imagine this - you contact a Cayman real estate agent and book an elevated cottage at the point of the peninsula or a luxury villa on the beach. You plan a barefoot wedding on white sand as the sun sets, seemingly melting into the Caribbean, while soft waves ripple onshore and palm fronds sway gently in the breeze. Sound too good to be true. In fact, it’s very realistic: Destination weddings in the Cayman Islands are extremely popular! Among the concerns of the bride- and groom-to-be when planning a destination wedding is where their guests will stay. In the Cayman Islands, Grand Cayman house rentals are easily available, whether on or near a beach, including condos, homes, villas and apartments. The Cayman Islands are known for their cuisine - whether traditional foods or chef-inspired culinary masterpieces. Your reception will be a memorable affair with some of the best caterers in the Caribbean to be found in Cayman. You are sure to find a style to suit every taste. Worried about how you will manage everything from decor to catering, from abroad? Don’t panic! You won’t have to. Experienced wedding planners in Cayman will coordinate with all the necessary services, such as florist, caterers, musicians, designers and venues to turn your dream wedding into reality, ensuring your day turns out just as you envisioned. The Cayman Islands are not only perfect for a wedding, but also an idyllic place for honeymooners. Choose one of the Cayman apartments to rent for your honeymoon and relax on white-sand beaches and in balmy turquoise water, enjoy a romantic seaside dinner, indulge in a spa treatment, and explore a variety of water sports during your stay. Organise a unique wedding in this tropical paradise that you and your guests will always remember. After easily finding a residential stay that suits your needs, you’ll want to return time and again.